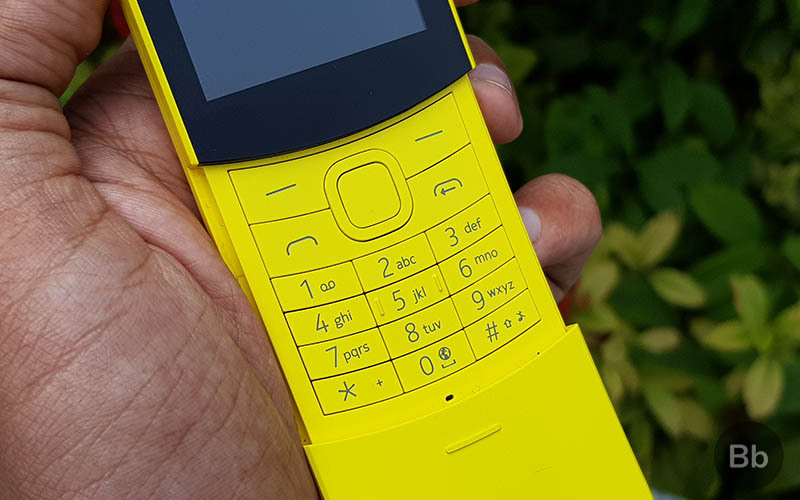 When HMD Global announced the comeback of its iconic Nokia 8110 ‘banana phone’ back at this year’s Mobile World Congress, I was beyond excited to get it in my hands and experience the classic design. But little did I know that I’d have to wait over 7 months to be able to hold the “re-envisioned” phone from The Matrix film. 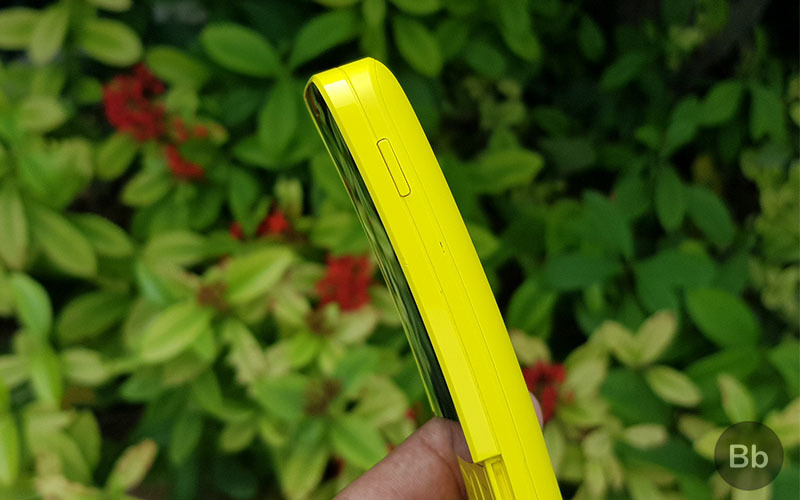 The new Nokia 8110 is called the ‘Banana phone’ for one and only one reason – its curved body that looks exactly like, well, a banana. In fact, the Yellow color variant is actually called “Yellow Banana”. You can also buy the phone in Black, which, in my opinion, looks equally slick and resembles the one shown in the movie. 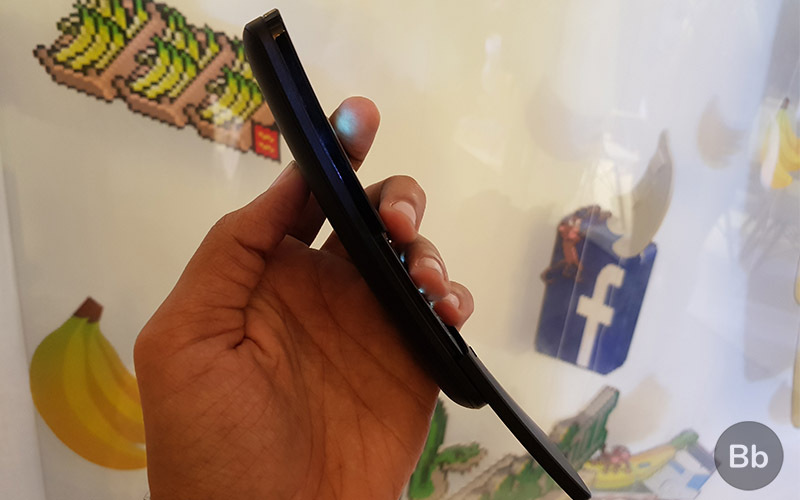 The curved body also has a slider that lets you answer and end calls. That’s pretty neat but I wasn’t able to test that out since the demo units didn’t have a SIM. The slider also acts a cover that slides out to reveal the phone’s numeric keypad. Above that, you get a 2.4-inch color screen with 240 x 320 resolution. Yes, it is not a massive or super-bright display, but it’s looks good enough to be able to play the iconic Snake game. 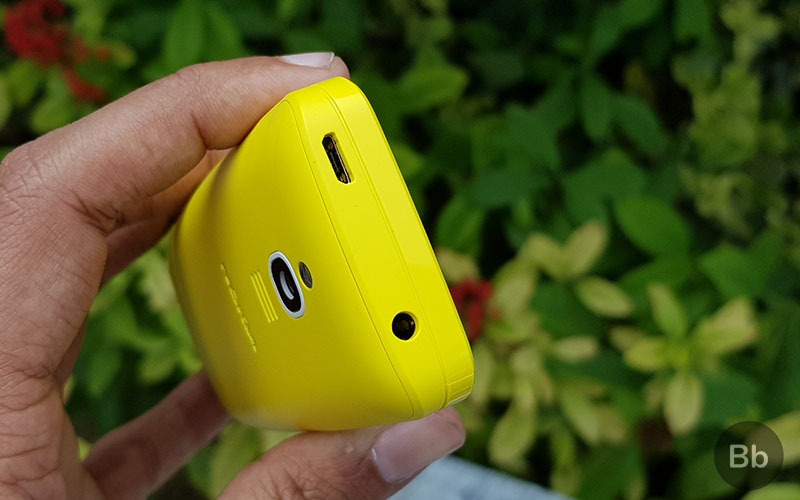 The Nokia 8110 also comes with a 3.5mm headphone jack and a micro USB port for charging. However, I’d like to point out that the phone feels a bit vulnerable to drops and knocks. 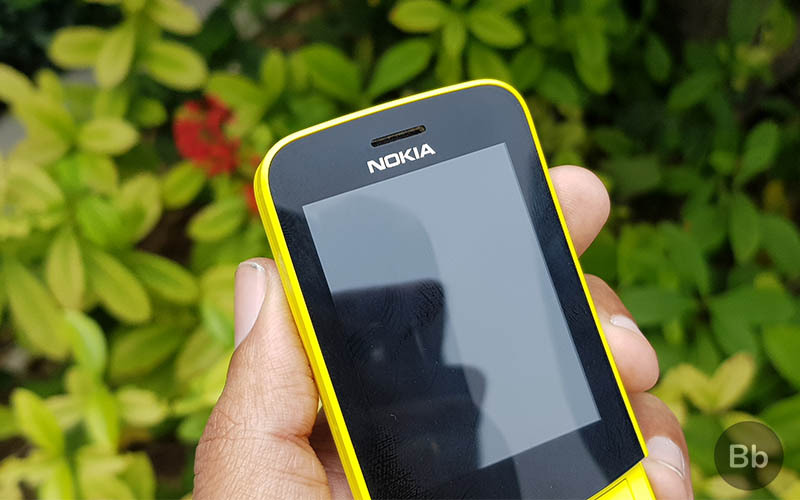 It may be due to the curved and the lightweight body (weighs only 117 grams), but the 8110 doesn’t feel like a phone that can take drops as well as most other Nokia feature phones. 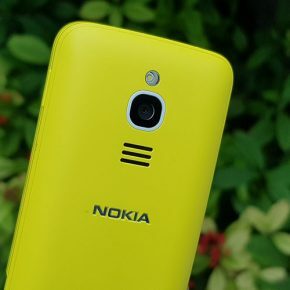 The Nokia 8110 is powered by Qualcomm’s Snapdragon 205 SoC paired with 512MB RAM and 4GB internal storage. In India, you’ll be able to pick up the dual-SIM 4G VoLTE variant of the phone, which, in my opinion, is a pretty cool feature to have in a phone like this. There’s also a 2MP rear-camera to let you snap occasional photos, but there’s no selfie camera, so you’ll have to flip the phone and just hope for the best. Lastly, there’s a 1,500 mAh battery that should be more than even if you spend too much time trying to break the Snake world record. Honestly, there’s really not much to talk about the phone’s internals, so let me take you through my experience with the software. 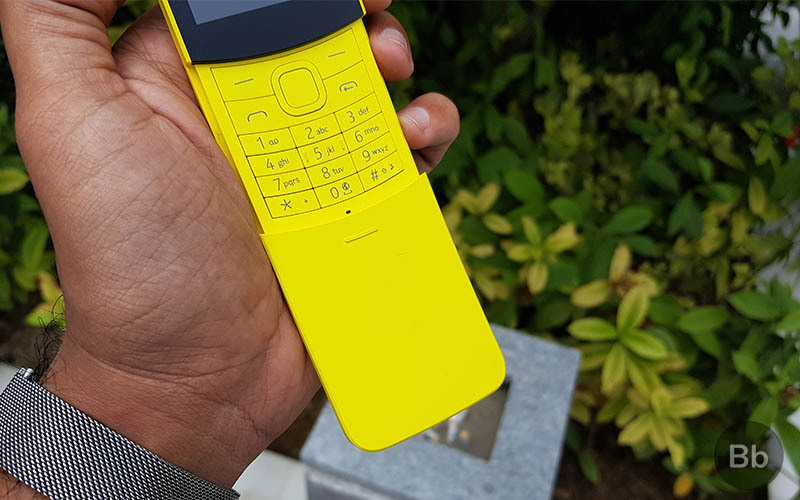 The Nokia 8110, just like the JioPhone 2, runs on KaiOS. 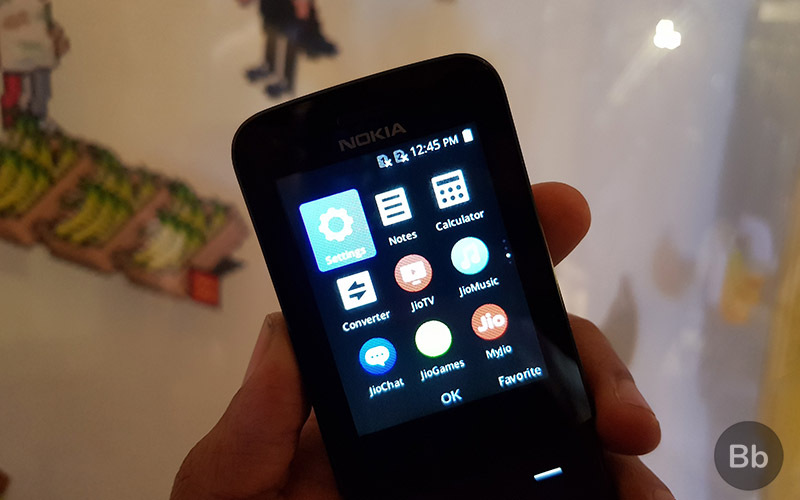 It’s a basic feature phone, but you’ll get access to apps like WhatsApp, Google, etc. The phone will also come pre-loaded with a ton of Jio apps like JioTV, Jio Music, MyJio, and more. I also spent some time playing Nokia’s classic Snake game because, why not? The user experience is fairly straightforward. If you’ve ever used any KaiOS-powered feature phone, you’ll feel at home here. It was nice and snappy, so I don’t have much to complain about, really. 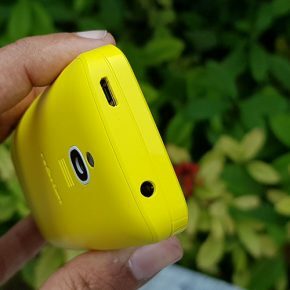 HMD Global will start selling the Nokia 8110 4G in India starting October 24 for Rs. 5,999. 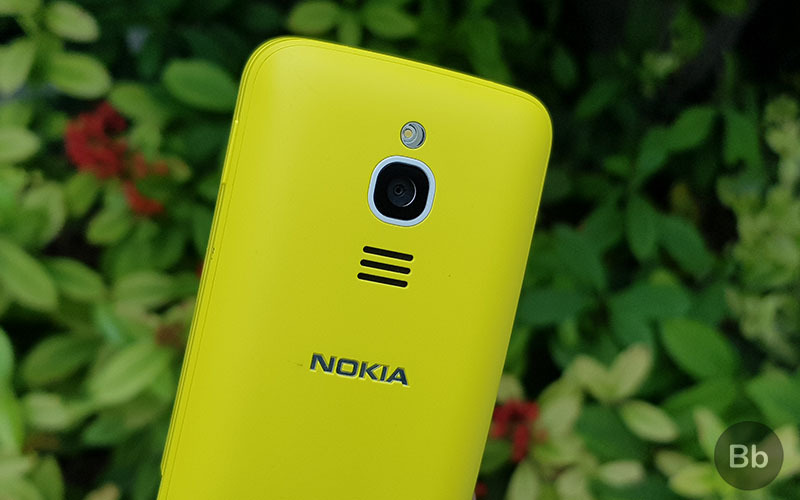 It will be available in “Traditional Black” and “Banana Yellow” colors across all Nokia retail outlets and Nokia’s online store. Should you buy one? 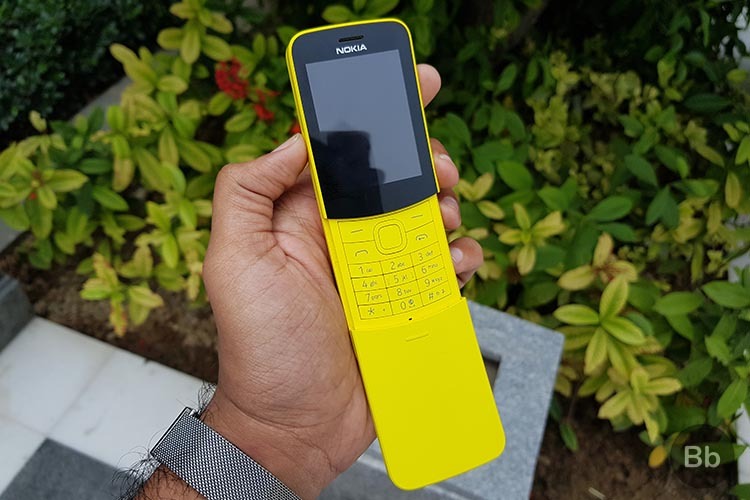 Well, based on my first impressions, I can say that the Nokia 8110 is not for everyone, really. 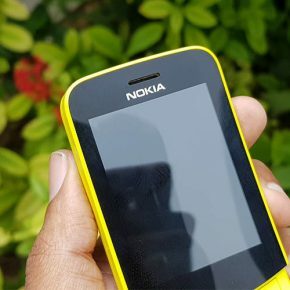 In fact, when I spoke to HMD Global’s Global Head of Portfolio, Pranav Shroff, I was told that they’re not even aiming for the mass market with this phone unlike other feature phones like the JioPhone 2. So, I think the Nokia 8110 is for the classic Nokia fans who consider themselves cool enough to whip out a phone used by Neo in The Matrix.